Nestle into the relaxed rolling hills of the Wisconsin countryside at Holiday Inn Resort Lake Geneva. SellMyTimeshareNow.com has an extensive inventory of timeshare resales and rentals at up to 70% off the retail price, allowing buyers to vacation comfortably while saving thousands of dollars in the process. At Holiday Inn Club Vacations at Lake Geneva Resort, you’ll be tucked away in the serenity of one of the most gorgeous lakes in the country. You’re also conveniently located just a short drive away from Chicago and Milwaukee for those looking to do a little sight-seeing or exploring the excellent nightlife and restaurant scene in both cities. 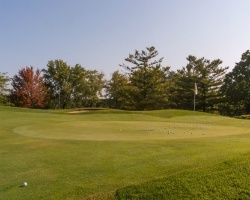 But Lake Geneva Resort is an oasis for outdoorsmen and women, with exciting activities right at your doorstep including horseback riding in the countryside, mountain biking along the terrain trails, or playing a few rounds of golf at championship courses such as The Brute and The Highlands. After the day is done, you can come back to your one- or two-bedroom suite with modern features and a warm, homey aesthetic. These spacious suites feature luxurious amenities like gorgeously-designed kitchens, cozy livings rooms with a wonderful fireplace, and some units even come with a relaxing spa tub to help you unwind after a long day. Wake up every morning to a view of the breathtaking Wisconsin hills and smell the fresh air from your own private balcony or patio. Allow you and your family to feel right at home when visiting your Holiday Inn Club Vacations at Lake Geneva Resort timeshare year after year. Don’t hesitate—we have properties available today! Call 1-877-815-4227 to get in touch with a Holiday Inn Club Vacations timeshare resale specialist or fill out the form on the right for more information. When you purchase a Holiday Inn Club Vacations at Lake Geneva timeshare on the secondary market, you will not only receive all the great amenities and perks of timeshare ownership, but you will also save thousands of dollars in the process. Lake Geneva Resort timeshares are for sale by owner, meaning that you’re transacting with the current owner of the property you intend to buy. Timeshares are advertised for their fair market value. There are no hidden fees and no red tape dealing with the developers. Our inventory features a selection of deeded fixed and floating timeshare weeks for sale. Owners who choose to purchase floating weeks can vacation in any available season they choose. Annual and biennial vacation options are available and owners will also receive an allotted number of Holiday Inn Club Points, which they can use for more flexible vacation options and many other ownership perks. When you purchase a Lake Geneva Resort, you’re adopting some of the best perks of owning a Holiday Inn Club Vacations property. 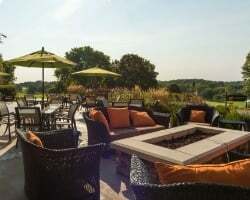 Fortunately for Lake Geneva Resort owners, the property is one of the few resorts where Holiday Inn Club points, the brand’s points-based ownership program, can be transferred from owner to owner on the secondary market. HIC points can be used for many great perks, which include booking Holiday Inn Club Vacations reservations as well as exchanging for special one-off vacations through RCI. Best of all, any unused points will automatically roll over for the following year, but for one year only. Points can allow you more flexible booking options to break up your vacation time into increments rather than one week-long vacation. For an additional, yet completely affordable fee, Lake Geneva Resort timeshare owners can purchase a membership with RCI. Featuring over 5,000 resorts worldwide, RCI is the industry’s largest external timeshare exchange company in the industry. Lake Geneva timeshare resale owners can participate in the company’s timeshare exchange program for a chance to vacation in HICV and non-HICV resorts around the world. The property is an “RCI Gold Crown Rated" resort, allowing its owners a high level of trading power in RCI’s exchange program. Holiday Inn Club Vacations at Lake Geneva Resort features some amazing on-site amenities and attractions that will keep the whole family happy and entertained throughout your stay. 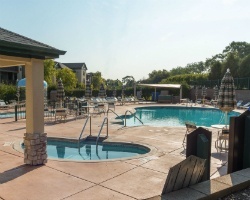 Soak up some rays by the outdoor pool, splash around in the nearby indoor/outdoor waterpark, or challenge your loved ones to an intense game of tennis on the indoor/outdoor courts. Keep yourself in shape at The Sports Center gym or unwind with the great services at The WELL Spa and Salon. Holiday Inn Lake Geneva Resort also features some amazing holiday-themed events such as the country hayride during the fall foliage season, or the Mountain Top ski and snowboard park in the winter. Stop by downtown Lake Geneva to experience the wonderful shops and fine dining that surrounds itself there, including the fine steaks at Geneva ChopHouse or the delicious German-American fare at Sprecher’s Restaurant and Pub. 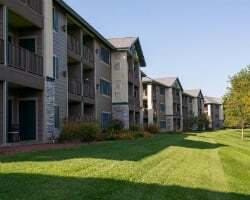 Already Own at Holiday Inn Club Vacations at Lake Geneva Resort?